The Activities List section offers a detailed information about your recent changes in Products and Orders. 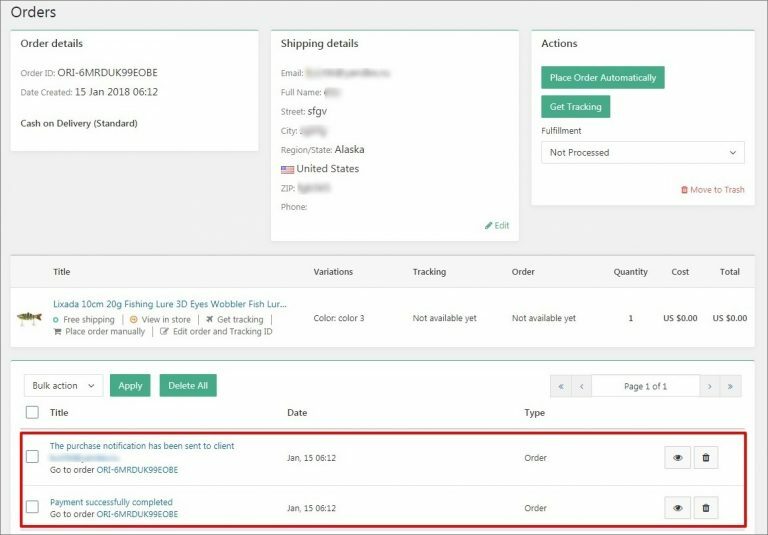 To get these rich insights, go to AliDropship => Reports => Activities List. 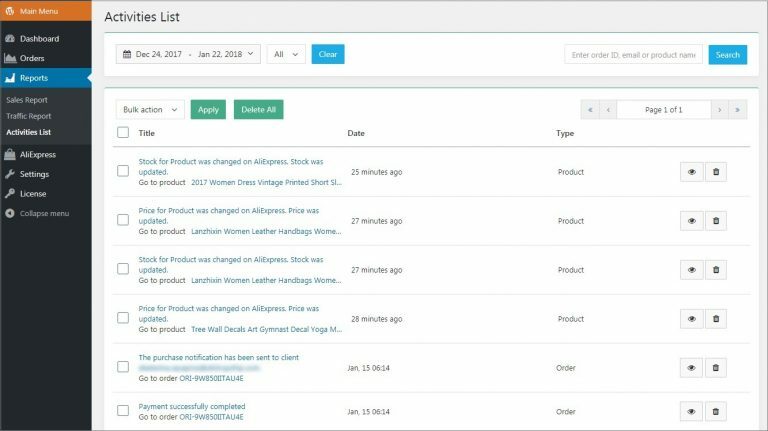 You can narrow down your search results using the built-in filters: sort items by date and by type (Product / Order). If you are interested to learn more about some particular product or order, copy and paste order ID, customer’s email or product name in the Search field. Use Bulk action to manage a few activities at once. Click Apply. To check more details of an activity, click on the eye icon. Activities details can be found in the Data Content section. Changes made to a certain item can be tracked in Product options of an individual product. You can find activities list in details of a particular order as well (AliDropship => Orders).